From harsh environmental factors too numerous abrasions, automobile wire harnesses need to weather numerous storms. The automotive industry utilizes wire harnesses like no other. As electrical links connecting various components in an automobile, wire harnesses are indispensable to automobiles. The range and quality of functionalities in modern vehicles are on the rise, and this is bound to expand the demand for wire harnesses in the industry. Most modern cars have integrated wire harnesses that are more sophisticated than standard wire harnesses. In this dossier, we explore automobile wire harnesses from the inside out. 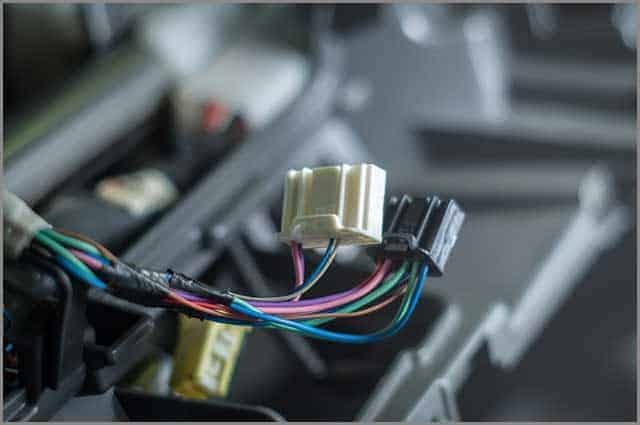 What is an Automobile Wire Harness? An automobile wire harness is an electrical cables assembly that facilitates the transmission of signals in electrical devices. It’s a well-structured unit bundle of conductive wires. As such, it facilitates cross-connections and interactions between various electrical components of an automobile. 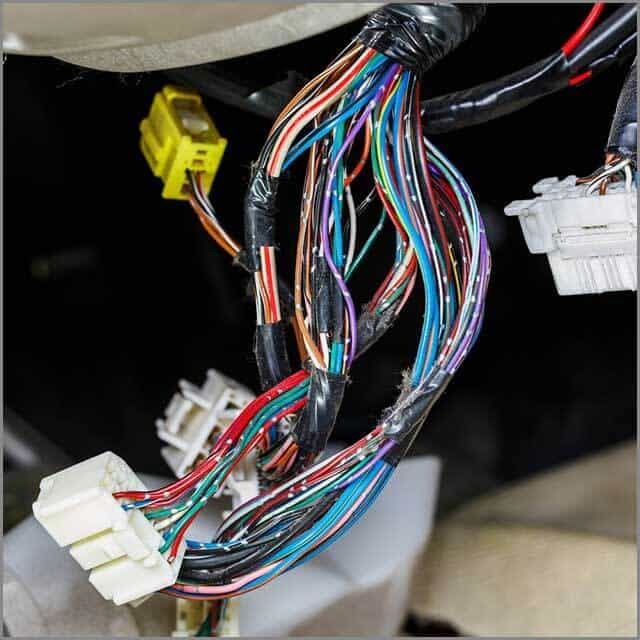 Wire harnesses are integral parts of a vehicle’s electrical system. The automobile industry’s demands for wire harnesses eclipse those of nearly every other industry. As such, the variety of wire harnesses deployed in the industry is more productive than those used in any other industry. Automobile wire harnesses serve as transmission systems combining the wiring of various electrical and electronic components in a car. As such, they coordinate and empower the various functions of a car’s components. They lend themselves to use in electrical and electronic systems of automobiles, including electrical circuitry. Hence, they can adapt to a wide variety of conditions and applications. However, for them to do so, their material composition should chose with great care. The next chapter shows you the first wires that make up an automobile wire harness. Electric cables serve an uncounted number of purposes in the car industry. Every wire harness comes with a unique material composition that makes it best-suited to a specific purpose. Each automobile wire harness deals with a unique combination of environmental factors like heat, emissions, vibrations, and so on. Moreover, that’s all the more reason why their physical makeup requires conscientious selection. Usually, we select the insulation materials for a wire harness based on the purpose for which the harness is designed to serve. Insulation materials best-suited for resisting temperatures of varying degrees include polyesters classes ranging from T2 to T61. These insulation materials are usually the aptest for use in cables for batteries and electric vehicles. Insulating materials best-suited to mitigating abrasions include polyesters of classes T3 and T4. Copper is the most widely used conductor material for wire harnesses. When alloyed with magnesium, copper serves as a more reliable conductor and provides a lot more capabilities with a smaller diameter. However, aluminum, being a much cheaper and lighter conductive material than copper, is also gaining full acceptance by the day. Due to its excellent thermal capacities, aluminum has been the most widely used conductor material for battery cables. Moreover, now, its alloys are being put to use in an increasing number of applications. However, copper cables have the advantage of yielding greater capacities with smaller diameters, and therefore outperforms aluminum regarding flexibility. And now, you know the most commonly used types of wires for an automobile wire harness. However, what types of wire harnesses can these materials be used to create? This type of harness can be found in nearly every automobile. They’re usually plugged into the factory plug of a vehicle. Hence, they can remain intact even after the successful installation of new devices like a radio. As a result, they allow you to install and uninstall different components more quickly and neatly. Reverse Wiring Harness: This harness comes in a reverse setup of the standard wiring harness, plugging into the factory radio. With this harness, you’ll be able to restore your car’s factory radio plug when it gets damaged. Hence a damaged factory radio plug cannot prevent you from installing an aftermarket radio. In many vehicles, the radio connects and interacts with some other devices in the vehicle. With this relocation harness, you can efficiently manage and transfer your stock radio without disrupting other functionalities. It also allows you to replace your stock radio for an aftermarket radio easily. It allows you to do so without disabling any of the car’s functionalities. The factory amplifier uses an amplifier Integration harness to support the speakers or subwoofer. When you install an aftermarket radio, it’s the integration harness that helps you connect the new radio to the inbuilt speaker system. A vehicle with an inbuilt amplifier that supports your speakers or subwoofer also comes with a bypass harness. It helps you deactivate the inbuilt amplifiers to install an aftermarket amplifier. With this harness, you can also replace the inbuilt amplifier with the aftermarket receiver’s inbuilt amplifier. These harness powers the car’s inbuilt warning system that chimes to alert you of vehicle issues. Such issues range from lights that are mistakenly left on to an insufficient oil reserve, and more. This alert system can be deactivated when you replace the stock radio with an aftermarket radio. However, with the chime retention harness, you can install a new radio without disabling the chime alert system. This harness powers the specialty services for a car. The premium harness system also empowers warning chimes as well as the factory amplifiers. All these various types of wire harnesses can be confusing. However, to gain more clarity about them, you may need to prune the bunch of wires in the harness. That helps to remove unnecessary wires to make the wire harnesses neater and more manageable. Want to learn about how to rid a wire harness of extraneous wires? The next chapter shows you the steps. Many wire harnesses come with additional wires that make them look clumsy or unnecessarily bogus. It’s a common practice to cut and insulate extraneous wires in a wire harness. However, the best way to deal with unused wires is to disconnect the external pins keeping the unused wires in place. You can also come in need of replacing the wire harnesses when they’re damaged or suffering from electrical issues. There is a wide variety of tools for removing pins from various types of plugs. These tools simplify the removal of the unwanted pins. Hence, they allow you to do the pin removal by yourself. Open the hood and trace out the fuse block. The fuse block is usually found in the upper right corner of the engine compartment, close to the windshield. Disconnect the fuse block from the center bolt holding it in place. After that, separate the fuse box from the transmission and chassis harness as well as the entire engine. Trace out bolts placed sideways along the windshield and remove these using a socket wrench. These bolts differ in lengths and sizes from one vehicle to another. Moreover, in some vehicle, they’re replaced by the seam around the dashboard. In such cases, use a flat head screwdriver to rip open the seam around the dashboard carefully. Next, remove the AC and ductwork by holding the tubing and severing it from the point where there’s a seam. Two bolts run along the steering column around the wheel. Trace them out from underneath your dashboard, then remove them. Trace out all the other bolts fastening the dashboard and remove them. After that, take down the dashboard to reveal the wiring running through the back. Turn to the firewall hole and run a fragile, strong thread between the firewall hole and the engine compartment. Knot the end of the thread and attach it tightly to the end of the fuse block to enable you to pull it to disconnect the wiring with greater ease. To make it easier to reassemble the wires, take pictures of the wiring or write down how the color combination of the wiring. Alternatively, you can also mark each wire with regards to their position. Next, disconnect every wire from the back of the wire harness, and then pull apart the fuse block from the point where it connects with the wire harness. You need to remove any bolts or rubber sheath around the wire harness if there are any. If you don’t do that, you’ll not be obliterating the harness. Alternatively,you can insert a pin extractor in the plug’s open end where you have the pin you want to remove. Press down the barbs that are fastening the pin by pushing down the pin extractor. Hold the wires as tightly as possible around the back of the pin. With the barbs still pressed down, carefully pull out the wire together with the pin. So far, you’ve learned about managing automobile harnesses and keeping them neat and crisp. However, Use neat harness what benefits? Find out in the next chapter. There’s hardly any vehicle where you can’t find an automobile wire harness. You’ll most likely find an automobile wire harness in either the engine, body, or chassis of the vehicle. You’ll find the body wiring harnesses in the dashboard, interior electrical components, power windows, boot and bonnet locks, and so on. You’ll also find body wiring harness as parts of the air conditioning system, connectors, and dimmer switches. The engine wiring harness usually runs through cruise control systems, lock braking systems, and speed sensors. Other parts where you can find the engine wiring harnesses include the battery cables, engine fans, and ignition systems. Moreover, the chassis wiring harnesses are usually comprised of the front, rear, and main harnesses. However, each vehicle’s wire harness comes with a unique design that takes into account the electrical and geometrical peculiarities of the vehicle. For instance, heavy vehicles such as trucks and buses require different harnesses than those used in cars. With wire harnesses, you can install multiple wires in one go, instead of installing a wire at a time. Not only does this help reduce installation time, but it also eliminates the possibilities of errors. When installing multiple wires prearranged in a single unit, the margin of error is reduced compared to attaching one wire per time. An automobile wire harness combines multiple wires into a bundle unit. There’s, therefore, a lowered risk of short-circuiting in an automobile wire harness when compared to loose wires. One of the most outstanding advantages of wire harnesses is their enhanced durability. Wire harnesses comprise highly durable materials that stand up to heavy use and massive power loads. You can use an automobile wire harness to enhance the fuel efficiency of your vehicle. Automobile wire harnesses enhance the performances of hybrid cars, even under extreme weather conditions, making hybrid cars more reliable. They have excellent capacities to withstand heavy power loads, extreme thermal conditions, and lousy electromagnetic noise. However, there are no guarantees that every automobile wire harness you’ll be acquiring will deliver all these benefits. It all depends on the quality of the harness, and that leads us to the issue of automobile wire harness manufacturing. The design and composition of an automobile wire harness depend on its intended function. The design and composition also depend on the type of vehicle that the harness will be used in. Manufacturers, therefore, produce wire harnesses based on customized specifications. There’s, therefore, the need for excellent communication between the manufacturers and customers to minimize the possibilities of errors. You also need to keep close tabs on the manufacturer to ensure that they’re using only the best materials. These materials must have excellent pliability and thermal capacities. An excellent wire harness manufacturer tests harness at various phases of the production process. You need to check to ensure that the harness proves to comply with the latest industry standards in various tests. You can insist on frequent one-on-one meetings with the representatives of the company to avoid any misunderstanding. A company’s capacity to meet with your requirements goes beyond its engineering and manufacturing prowess, encompassing communication skills. You need to be sure that the company has sufficient experience in fabricating harnesses similar to yours. Moreover, the best way to determine that is to investigate their track records and previous projects. With a detailed sketch at hand, it’ll be easier for you to communicate the specifications of your harness to a manufacturer. It can also help to provide the manufacturer with any relevant paperwork. It is also advisable to put down as much as you can concerning the purpose of your harness in a paper. Check for the company’s credentials: Certifications are imperatives when it comes to the fabrication of electrical and electronic devices. It is due to the relatively higher safety and performance requirements in electronics. Some certifications that you should look out for when choosing a wire harness manufacturer include the CSA International, the UL Registration, and so on. Environmental factors should be one of the main determinants of the appropriate material and designs for your automobile wire harness. These factors include sunlight, vibration, water, and so on. It’s crucial for the company to take the presence of these factors into account during the fabrication processes. It’s essential for you to ensure that the company has all the essential facilities. If the company outsources some parts of the fabrication processes, look into the arrangements and the parties involved. A faulty automobile harness can wreak havoc in numerous ways. Safety and reliance are, therefore, two vital considerations that you must have in mind when looking to acquire an automobile wire harness. We understand that there are many things to look out for when sourcing for a wire harness. 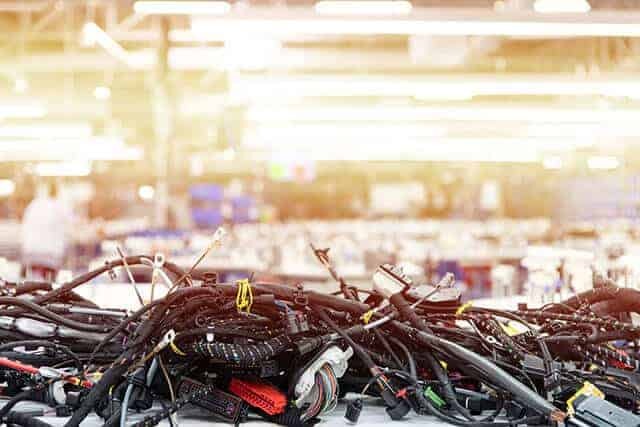 Our production processes are designed to put you at ease, regardless of the unique requirements of your automobile harness. We’re here to provide you with our automobile wire harness expertise whenever you’re ready for it.